Aluminium systems supplied by UK facade company Aluprof, have been specified for the recently completed Hotel Indigo Manchester. 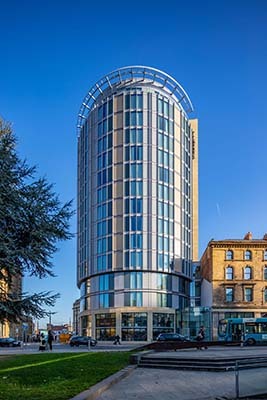 Located next to Victoria station, at the junction of Todd Street and Corporation Street, the new Hotel Indigo project comprises of a new fourteen story, modern rotunda tower, adjacent to an existing, now sympathetically restored Grade II listed victorian development, known as ‘City Buildings’. 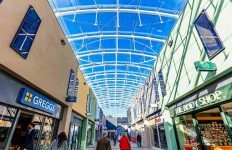 Aluprof systems provided their class leading MB-SR50N Curtain Wall ‘effekt’ (cap-less) system in grey powder coat finish from Ground to 2nd floor with their project designed unitised curtain wall system to the 10 stories above. The floor to ceiling glazing offering spectacular views across Manchester. 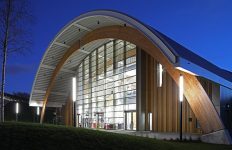 The sub-contract for the design, testing, fabrication and installation of the facade was completed by Aluprof and CSI of Hull. 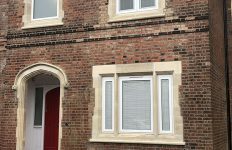 The main contractor on the development were Bowmer & Kirkland. The hotel was opened to customers early 2019. 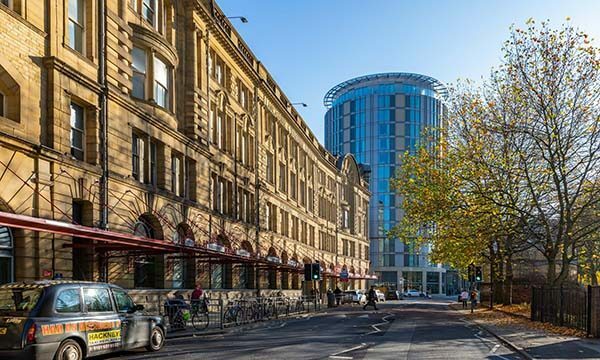 Let by developer BH Group, the hotel offers 187 bedrooms which are located in both the new fourteen storey rotunda and the existing ‘City Buildings’. 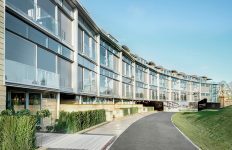 The development also boasts a Marco Pierre White, New York Italian themed restaurant and bar which will offer a vibrant new venue for residents as well as city goers.